It’s everyone’s worst nightmare. Your central heating starts malfunctioning just as a cold snap hits. Don’t panic – a lot of common heating problems can be solved without the need to call a heating engineer. In fact, you’ll be surprised just how straightforward fixing common problems can be. There are three common problems that affect radiators, and they’re easy to solve once you can diagnose the issue. If your radiators won’t heat up, then check that the system fuse hasn’t blown. If that’s all right, try turning the diverter valve located next to the boiler off and on again. If the problem persists, it could be your pump, and it’s easy to bleed any trapped air using the small nut located on the body of the pump. If that fails, call a heating engineer. If your radiators are warm at the bottom only, then a quick DIY radiator bleed should do the trick. If you have the opposite problem and they’re cold at the bottom and warm at the top, try flushing the radiator with water or get your engineer to perform a power flush. If your boiler makes a noise like an old-fashioned kettle coming to the boil, there may be air trapped in the system. 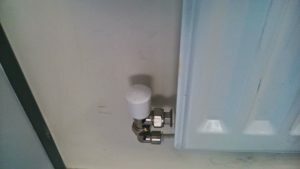 Again, this can be sorted out by locating the air bleed screw and following the boiler instructions to vent the trapped air. If the problem persists and you need a boiler repair Gloucester, get in touch with a reputable boiler repair engineer in your area such as http://www.hprservicesltd.com/gloucester-boilers/boiler-repair-gloucester/ – they’ll be able to advise whether your system needs flushing or if there’s a problem maintaining pressure, depending on the system you have. If you can hear the sound of constantly running water, locate the ballcock in your water tank and check to see whether it’s jammed. If it is, free it up to cure the problem. However, if you have an immersion tank, always call a plumber. Checking the pressure level is easy – simply locate the gauge on the boiler and check it’s at the correct level. To increase low pressure, add water to the system via the filling loop until the boiler reaches the correct pressure – you’ll find instructions in the manual. Not something you’re happy to tackle? Call a plumber to help.